Somewhere around the age of 40, most people’s eyes lose the ability to focus on close-up objects. This condition is called presbyopia. You may start holding reading material farther away, because it is blurry up close. Reading suddenly gives you eyestrain. You might wonder when manufacturers started putting such small print on everything. Symptoms of presbyopia may worsen if the light is dim, you are tired or you have been drinking alcohol. 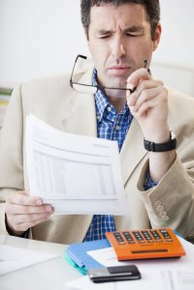 Presbyopia is one of the common refraction-related vision disorders. The shape and condition of your cornea and lens affects refraction, or the way light bends as it enters your eye. With presbyopia, an age-hardened lens is no longer flexible enough to change shape to focus on nearer images. This causes light to focus behind your retina, causing near images to appear out of focus. Some people notice this difficulty focusing on up-close objects when they are as young as 35, but the onset of presbyopia typically occurs as individuals enter their 40s. The condition can worsen until individuals are about 65 years old. For people who previously had good vision, the solution may be as simple as buying over-the-counter reading glasses. If you have a more complicated vision situation — such as being nearsighted while also developing presbyopia — you may need prescription bifocals. These allow you to read up-close text by looking through the lower portion of your eyeglass lenses as well as see far things clearly by looking through the upper portion of the lenses. Contact lenses are an option for some patients. However, bifocal contact lenses are more difficult to fit than regular contact lenses. Monovision contacts are another choice. This means one of your contacts is used for distance while the other is used for close work. Successfully using monovision contacts can require time and practice. Several types of surgery may also improve presbyopia. Most of these involve tiny lasers that are used to reshape the cornea. 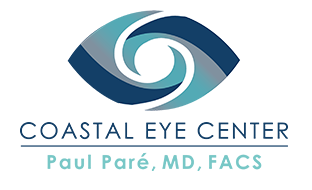 In another surgical procedure called refractive lens exchange (RLE), the ophthalmologist removes the lens in each eye, replacing them with synthetic lenses. If you want to be able to enjoy reading again without headache or eyestrain, call our office so we can help you see your best.